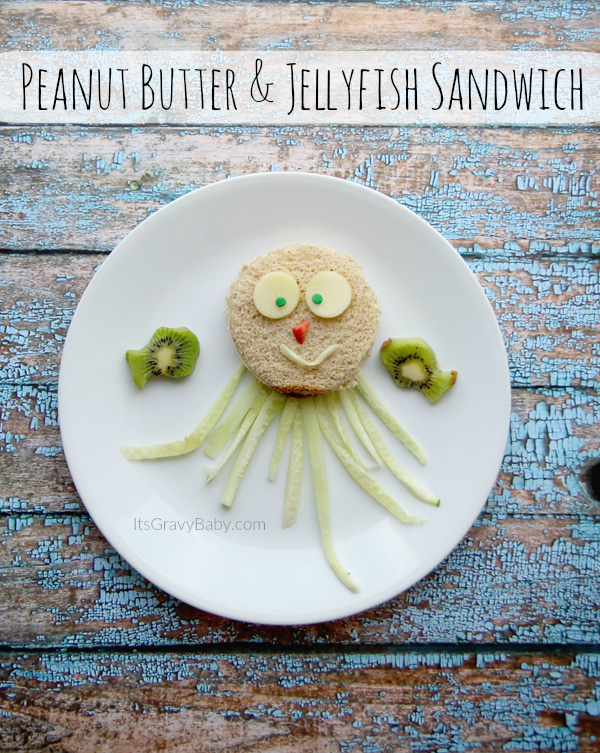 Peanut Butter & Jellyfish Sandwich Idea | Fun Kid Food - It's Gravy, Baby! 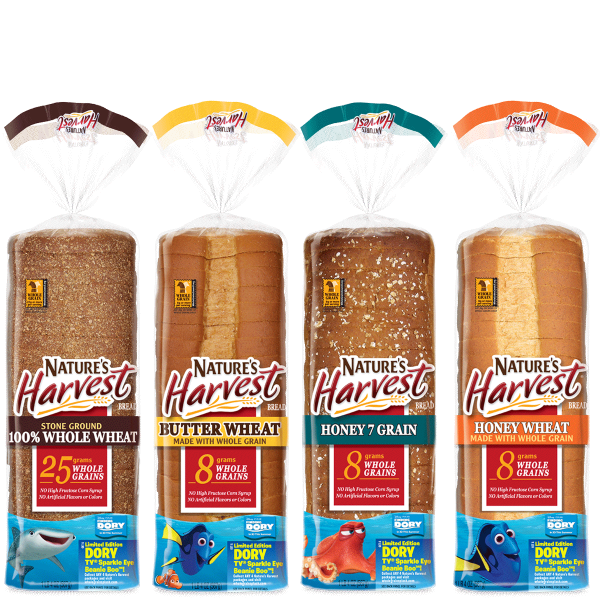 Nature’s Harvest® bread provided information, coupons, a gift pack, and a gift card to assist with this post. All opinions remain my own- as always- and do not reflect that of Nature’s Harvest® bread. 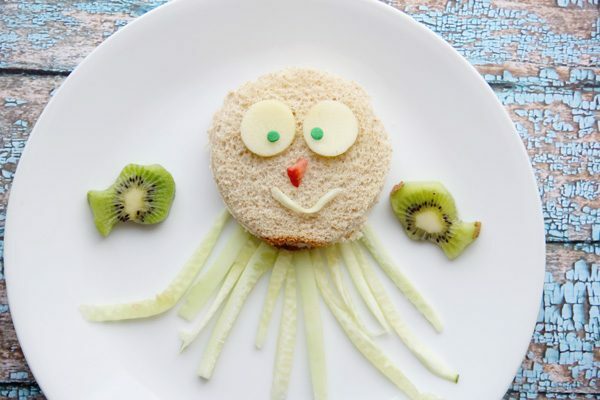 “Finding Dory” swam into theaters over the weekend so I thought this would be a great time to share an underwater themed kid-friendly peanut butter & jellyfish sandwich idea with you all. As a mom of three kids under 7, “fun” is not usually at the top of my list when it comes to meals. 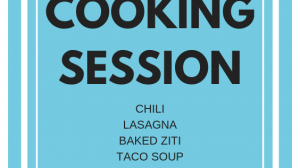 Presentation goes a long way, but I’m usually in such a rush due to children who truly think they are starving on a regular basis that “fun” goes right out the window. As part of a challenge from the folks at Nature’s Harvest® bread, I came up with this Peanut Butter & Jellyfish sandwich using items I had on hand. String Cheese would also work. Assembly is quite simple and I’m sure the photos speak for themselves. After cutting your peanut butter & jellyfish sandwich into a circle, place two round slices of apple (or banana) for eyes adding two sprinkles (or raisins) to complete them. Using a thin slice of cucumber or string cheese, create the mouth and finish the face with a tiny berry for the nose. 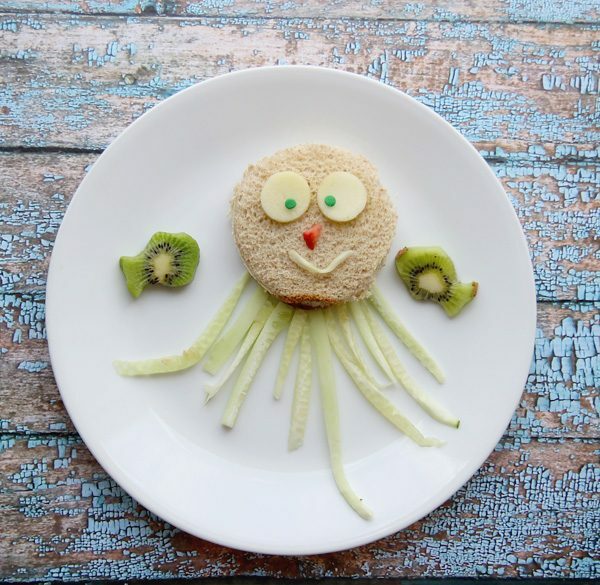 Arrange your slices of cucumber or string cheese to resemble jellyfish tentacles and your peanut butter & jellyfish sandwich is complete! You could add a cute fish shaped boiled egg as a side. I had some tiny fish fruit cutters (from a small animal cutter set) so I added some cute kiwi fish along side our peanut butter & jellyfish sandwich. Use whatever you have! Now through July, fans can purchase any four Nature’s Harvest® breads and receive a free, limited edition Dory TY® Sparkle Eye Beanie Boo™ plush toy. Swim by www.wholegrainsplash.com for more info! Just look for the special edition packaging featured below. Nature’s Harvest® bread will be accepting entries for the Make A Splash with Whole Grains Facebook Sweepstakes from April 28 to July 7. See official rules here. All entrants will have the chance to win weekly prizes, including movie tickets, autographed posters and more. No purchase necessary. So so so CUTE!!!! I pinned to make this summer! 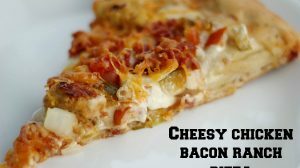 Hi Whitney,instruction that you have given for making this sandwich is really good.These fun ideas are sure to pleased your loved ones.Indeed it is a great idea and I will definitely consider your recipe in my future .Thanks for nice tips. Hello Whitney, what an amazing fun project you have introduced here! Great fun to make with kids and a sweet treat to give away! Indeed it is a lovely idea for any sandwich lover. 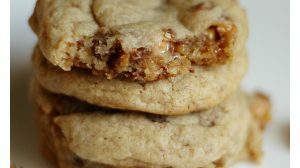 This delicious recipe can bring a lovely smile on your kids face. Thank you so much for sharing this unique idea. It is one of the creative ways to remove boredom and your kid’s will surely enjoy this wonderful idea. Nice project.